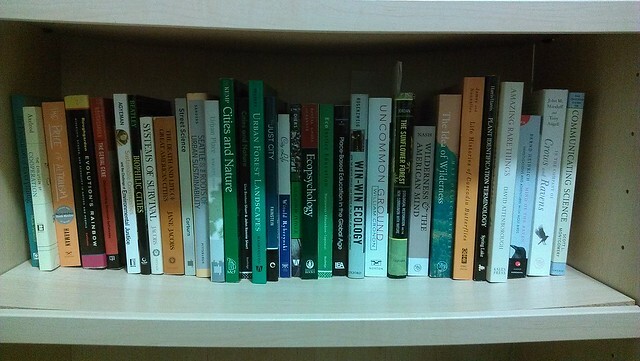 09:33 pm - To-Be-Read Bookshelf Rearranged! I don't know why this makes me feel so accomplished. It's not the first time I've ever done this, and it doesn't guarantee that I'll actually read the books. But I do feel accomplished. Here it is! This is the emptiest any of my to-be-read bookshelves has ever been. Usually they (different shapes and sizes over the years) are double and triple stacked. I've had favorite unread categories (philosophy of science was one for a few decades -- never read much of it, but bought books thinking I would someday), favorite unread authors (Jacob Bronowski, see prev. paren. expr. ), and so on. This is so bare for two reasons: (a) I get the majority of my books from the library these days; and (b) I've resold the books I've finally admitted I'm not going to read, no matter how intellectual the sight of them makes me feel. 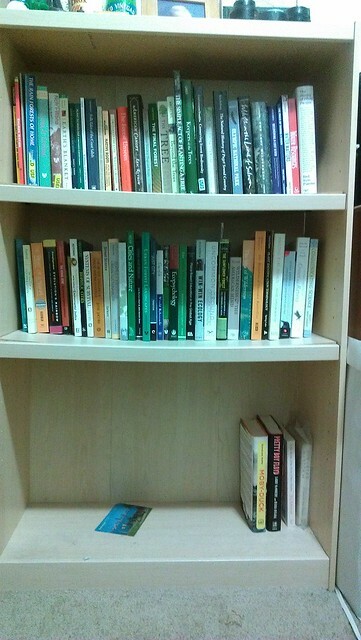 Look carefully, and you will not see a single book devoted to the history or philosophy of science. I hope they have found happier homes, or at least, happier bookshelves to look good upon. It's likely to remain at least this bare. 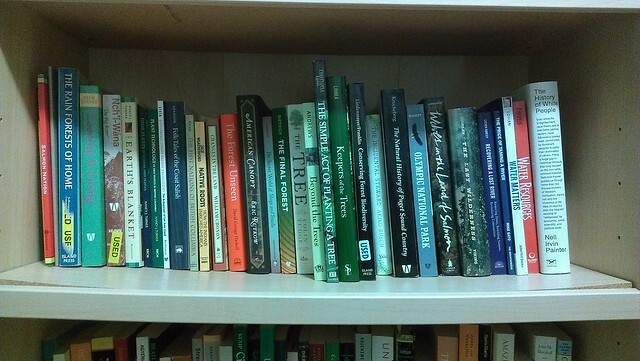 I consider these books relevant to what I'm doing these days, either with background information or some of the ideas and history behind restoration. The lower shelf is where I'm starting to read first, for some reason. The left is books about fairness and the evolution of cooperation, fading into environmental justice leading to cities merging into ecopsychology and place-based education segueing into the idea of wilderness with a couple books about corvids at the end just to wrap things up. The top shelf starts at the left with books about the First Nations and the Pacific Northwest before Europeans, joining with books about forests, and then Pacific Northwest natural histories followed by a couple books about water issues, and "The History of White People" in case I'm in danger of cheering up after all that. I've already pulled a book off the shelf to start reading, "The Fair Society" which I bought in 2012. Okay, I'll read that after the Walter Mosley paperback and "My Life and Hard Times" by James Thurber. That last will be a quick read, then I'll get to it, HONEST.